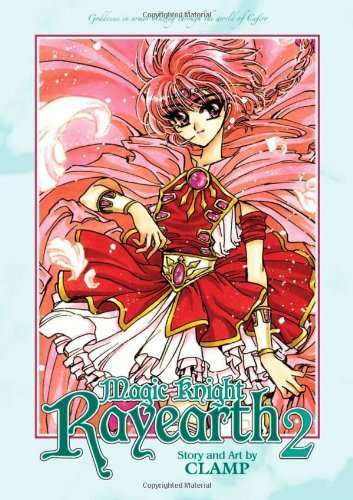 This page describes the official English translated versions of the Magic Knight Rayearth manga and anime. The English language license for the manga is held by Dark Horse Comics. The license was held by Tokyopop prior to 2009. Dark Horse re-released the series in two 600+ page omnibus editions with new translations and 42 bonus color illustrations in 2011 and 2012 and as digital editions in 2015 on Kindle/Comixology (the services are linked and purchases can be read on either platform). The TV anime was first licensed for English language release on home video in North America by Anime Works/Media Blasters (following a failed attempt to release an English TV dub by the Japanese anime studio). Media Blasters released the series in various formats before finally releasing remastered editions of Season 1 and Season 2 on DVD in 2010. On Nov 21, 2014 Discotek Media announced they had licensed the TV series. 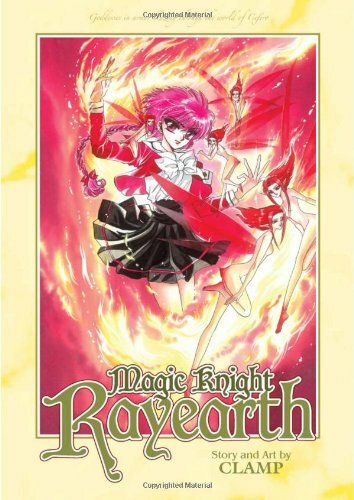 Discotek released a Blu-Ray Memorial Collection on Jan 31, 2017 and a DVD Complete Collection on Feb 28, 2017. This is the remastered edition with all the Next Episode Previews, Bumpers, Recaps & Omake Endings and many more extras – including the “lost” English pilot mentioned above. 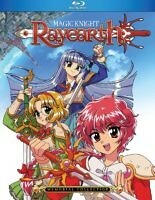 The 3-part Rayearth OAV was previously licensed by Manga Entertainment and released on Region 1 DVD in 2003. This release is out of print.